This much you probably already know, but it bears repeating: “The Producers,” Mel Brooks’ raucous, no-holds-barred musical send-up of the iconic 1967 film starring the immortal Zero Mostel and Gene Wilder, hit Broadway like a tornado in 2001 after sold-out previews in Chicago. 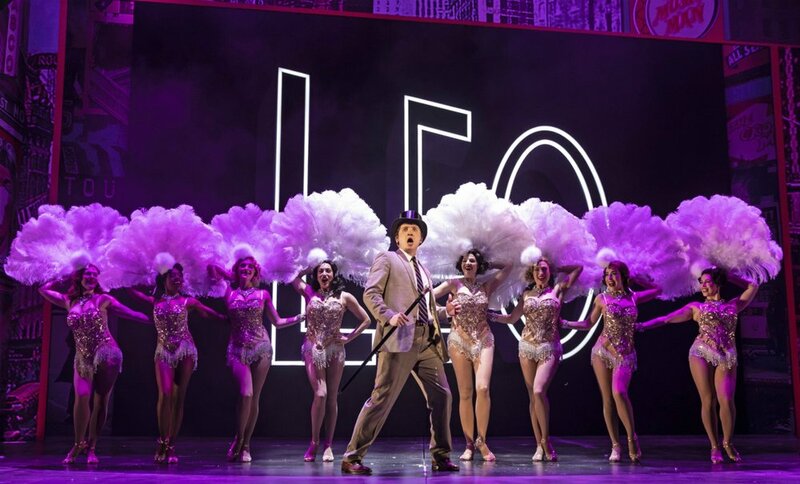 That production starred Nathan Lane and Matthew Broderick, and received 12 Tony Awards, including best actor in a musical for Lane (nominated with Broderick) and best director and choreography for Susan Stroman. I was in the St. James Theater for the first Broadway preview performance on March 21, 2001, and remember the experience like it was yesterday: walking up to the box office at curtain, snagging a single ticket and settling into the stage-left box high above the stage for one of the most stunning and electrifying evenings I ever had in a theater. Director Corti and choreographer Brenda Didier delightfully skewer the business of show at every opportunity, with a direct hit in the show’s big number, “Springtime for Hitler.” Sean Blake’s insanely over-the-top Roger DeBris, whose entourage includes the wistful Carmen Ghia (Adam Fane at his best) leading a band of minions in “Keep It Gay,” is perfect. Blake’s furor-raising turn in the musical-within-the-musical is inspired. 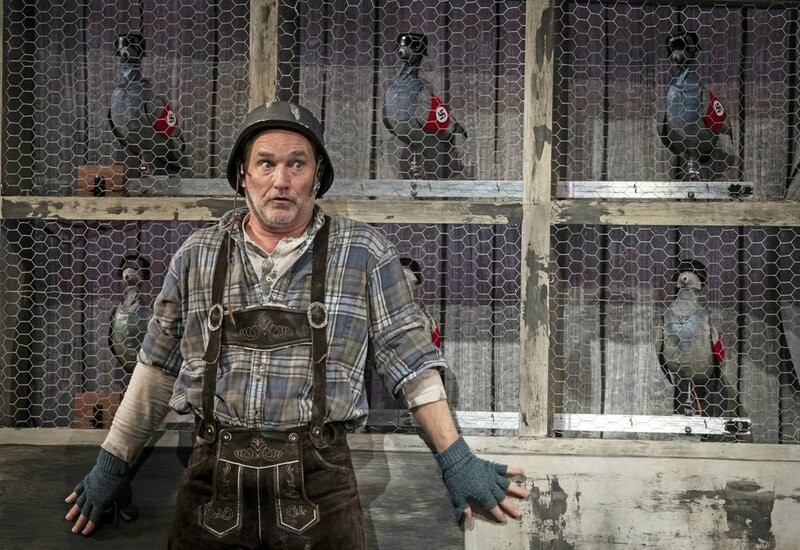 And, you will marvel at Ron E. Rains’ manic Franz Liebkind, the Nazi sympathizer, playwright and pigeon-keeper extraordinaire. “The Producers” boasts an impressive roster of more than 20 of Chicago’s brightest musical talents in multiple roles who all deserve mention here, including: Nathan Mittleman, Sawyer Smith, Jason Richards, Jenna Coker-Jones, Matt Casey, Sara Reinecke, Haley Jane Schafer, Erica Evans, Allyson Graves, Christopher Kelley, Miranda Borkan, Bethany Christine Elkin, Kaitlin Jempson, Bernell Lassai III, Ivory Leonard IV, Eben Logan, Jessica Palkovic, Brandon Pisano, Elena Rios, Anthony Sullivan Jr., Marco Tzunux and J Tyler Whitmer. The crisp and finely tuned 21-piece orchestra is conducted by Tom Vendafreddo, who also serves as music director. The impressive and colorful William Boles set design and ingenious Jordan Ross costumes–on full and glorious display in Morrissy’s brilliant “I Want to Be A Producer,” and the show-stopping, “Springtime for Hitler,”–are flat-out spectacular, as is the sound design by Adam Rosenthal, Jesse Klug’s lighting and projections by Mike Tutaj. 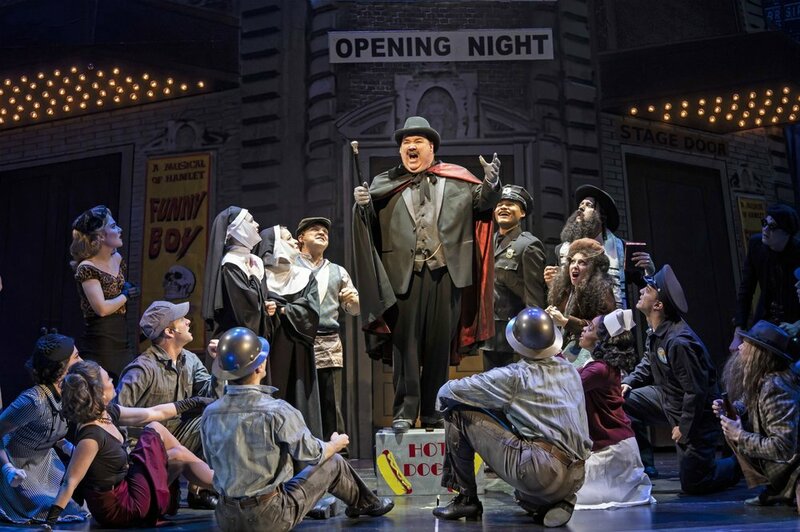 Much more will leave you laughing in the aisles at the big, beautiful Paramount Theatre—but only until March 17th, so you should line up now or risk breaking a leg or two in the stampede to get into this one!